I have never made a shirt before but this one looks quite easy. 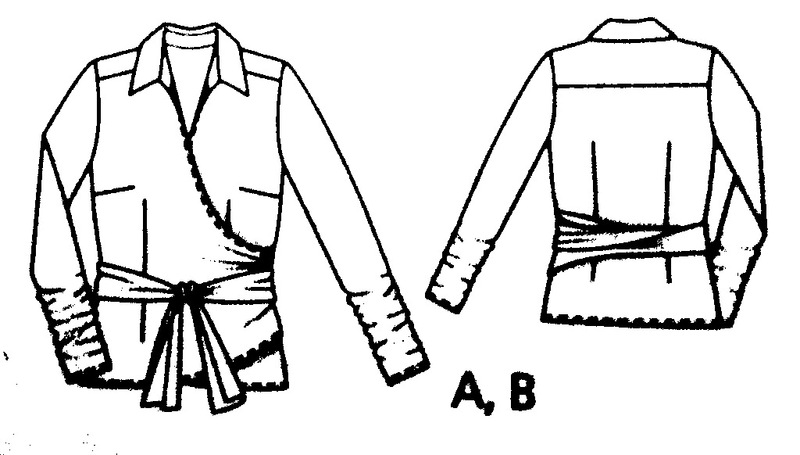 The lack of cuffs and buttonholes is a big plus (I never get good results with my machine’s buttonhole function) and for once Burda have provided instructions for a pattern that make sense to me. Of course just because they seem to be clear now doesn’t mean I’m not going to run into horrible trouble while constructing the shirt, but it’s a start. Having picked a pattern out of Burda I nevertheless also picked up Vogue 8644 and Colette Patterns’ Lady Grey coat. The Vogue is yet another sleeveless sheath dress, but this one has pockets so I’m claiming it counts as different. The Lady Grey coat is something I want to sew but I’m not totally sure my skill level is up to it. I bought it so I could read the instructions. They seem very straightforward but I keep hearing dire warnings in the blogsphere about attempting anything tailored without using ‘proper’ tailoring techniques so I’m not sure if this is a good idea or not. Finally I have a pattern I bought last month at the Hay Festival from Merchant and Mills – yet another sleeveless shift but this one has an asymmetric seam feature. The pattern is unusual in that it’s a cardboard pattern, not paper, and comes with very detailed instructions suitable for complete beginners. The idea behind the range is that in the shop there are samples of the designs made up in every size, and you try them on before buying a pattern, thus no need to make a muslin. This appeals to my laziness! The designs are very simple classic dress styles. These patterns are beautifully packaged in a cardboard tube. 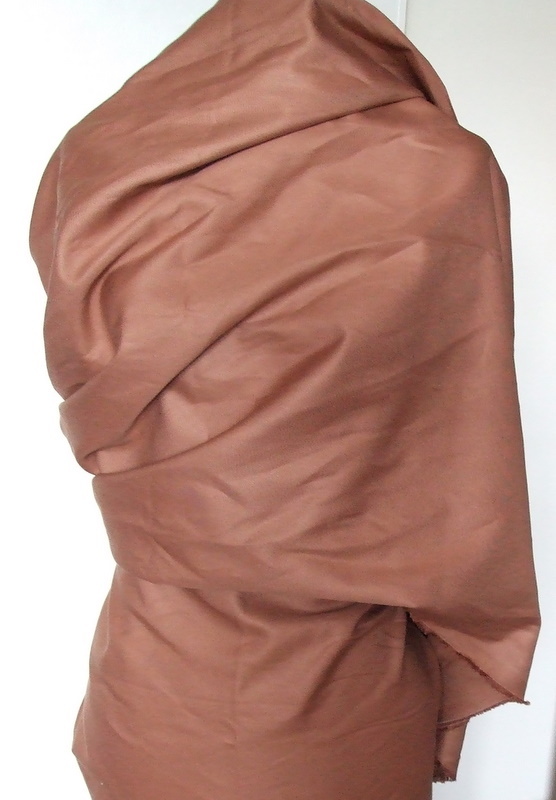 I also got some lovely silk to use for the top half of the asymmetric dress but I need to find a toning fabric to go with it for the bottom half, so I’ll save that for later. 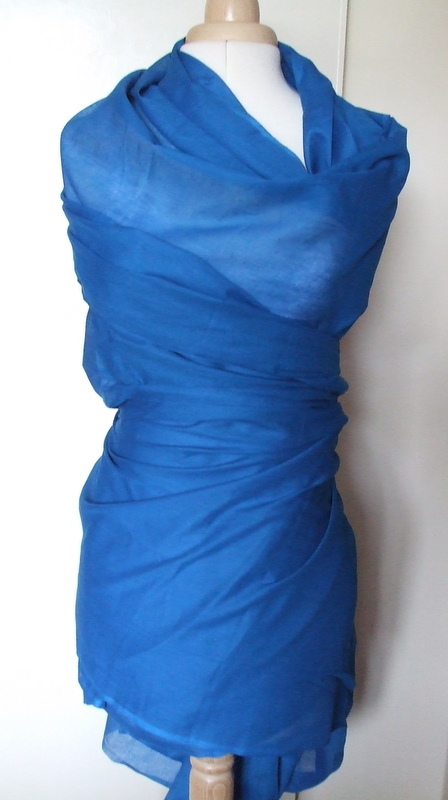 Now I’m off to iron and cut out the blue muslin. And try not to think about what on earth I’m going to use to interface the collar. Advice most welcome! Posted on July 7, 2010 December 13, 2010 by catherinedaze	This entry was posted in burda, Fabric, patterns, planning, vogue and tagged blue, fabric, Inspiration, orange, patterns, plans. Bookmark the permalink. Mrs Hancock would be proud of you. :) Been trying to think of the textiles teacher we used to have for a few days now. Well since I got in touch with Penny. RE: Buttonholer A bad workman always blames her tools. Practice makes perfect lol.